The Magni is small and light. The staggered seating makes it comfortable for two 6 ft tall men. I never felt like I was rubbing shoulders like I do in my dad's Cavalon. The quality is very good, but so is the quality of the AutoGyro and Trendak machines. The body is more of a shell bolted to a steel frame. The Trendak and AutoGyro are monocoque cabins which seem like they would protect you better in an accident, but I don't know if it really makes a difference. The lower cost of the Magni probably reflects the savings of the bolt on cabin design. There is very little storage in the Magni and the Tercel. No place to store a backpack size flight bag. The Cavalon has a lot of space behind the rear seats, where I can fit a bag despite being 6ft tall. The Magni and Tercel have some storage behind your head. The Magni also has a little storage under the passenger seat and in a glove box, and a tiny storage on the left side next to the fuel tank behind a little door. The trim and pre-rotator are simple mechanical designs, like in the Tercel. They work well and should be reliable. The Cavalon is more high tech with the pneumatic system. The Magni does not have a roll trim, but I was surprised that it did not need it, even after Dayton got out and I flew solo. The stick pressure is lowest in the Trendak gyros, which feel more Sporty. The Magni stick pressure is fairly high, but at 70mph there was no stick shake (just engine vibrations). A vertical descent in the Magni required a ton of back stick pressure to keep it below 30mph. The advantage there is that it is more difficult for a beginner to get behind the power curve by accident. When I accelerated and flew at 85mph, there was shaking in the stick and the cabin from rotor feedback. I think it felt more noticeable in the Magni because there was none at 65-70 (so the change was striking). I will have to fly the Cavalon again and see how much more it starts to shake at 85. The Magni roll setup is also unique, in that when you move the stick to roll left and right, it hinges between the two seats, so you lift a little to roll right, and lower the stick a little to roll left while it tilts. When you figure this out, the stick pressure for roll decreases because you aren't fighting the design. I was surprised that there is very little pitch/yaw coupling in the Magni with power changes. Much less than what you get in the Cavalon, and more on par with the Tercel. This Magni didn't have a yaw string, but flying coordinated didn't seem difficult, similar to the Cavalon. The Tercel makes me feel like a complete beginner as I am always fighting the pedals and struggling to keep it coordinated. Landing was easy, and less than perfect landings when I flared too high and dropped a couple feet were absorbed nicely by the landing gear. I would say it was almost as easy to land as the Tercel, and easier than the Cavalon (which requires more precision to not duck walk). Because of the low tail, you can't slow the Magni as much as you can slow the Tercel or the Cavalon, but I was still landing in no wind without too much ground speed. The Tercel in particular you can really hold off with a big flare and land very slowly. The castering nose wheel on the Magni is really nice, and when I touched it down while trying to balance on the mains on a couple take offs, there was less noise and less jerking sensation than you get with the Tercel and Cavalon. 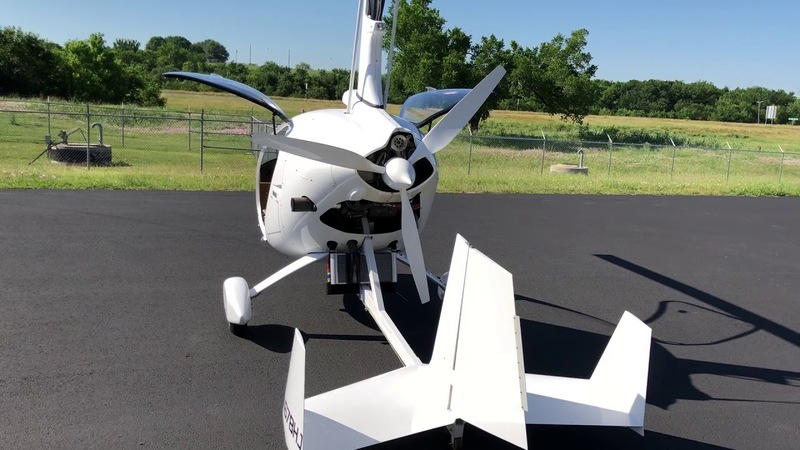 I find the Cavalon the easiest to take off, with little rudder required to keep it straight. The Magni was a little more difficult as far as countering engine torque, and the Tercel is the most difficult (maybe related to the more powerful engine and prop). The low tail on the Magni actually helps during take off, because if you are late in pushing the stick forward and let the nose wheel come off the ground too much, the wheel on the tail limits the nose of the aircraft from coming up too high and probably helps a beginner not take off behind the power curve as easily as you could do it in the other gyros. The visibility out of the cabin is excellent in the Magni, and much better than I remember it being in the Cavalon. The Magni almost feels like an open tandem. The Tercel also has very good visibility, and is the best in terms of seeing down and close, with a window in the floor. I wish the Cavalon had the visibility of the Magni. Air flow in the Magni is the best of the bunch. It has air coming from behind the wind shield. It also has vents in the doors like the others. But the best part of the Magni are giant cooling vents over your head that blast outside air from above and keep you from getting too hot. The rotor brake on the Magni is the best of the bunch, with a drum brake in the head that is easy to control. Getting the blades to stop perfectly forward every time is a piece of cake. We were flying at sea level, so power was good with the 914 and two people, but I can't compare that to the others as I have only flown the others at high altitude. The Magni flew ok with one door off, but not as efficiently as when we had both doors on. We then tried both doors off, and that seemed to cause a lot of drag and we seemed to be affected much more by turbulence. I remember the Cavalon flying very well with both doors off last summer. If no doors is your thing, the Magni might not be the best choice, although my test was limited to one trip around the pattern in the heat of the afternoon with that configuration, so my assessment might be wrong. For a beginner, the Magni is probably the best choice. The Cavalon is a close second (easier to take off, but more difficult to land). The Tercel is the easiest to land, but the most difficult to take off and fly (probably the most fun in experienced hands if you want to really throw the gyro around with reckless abandon). If all three were the same price, I would pick the Cavalon because of the monocoque design, top quality build/design, enough storage for a backpack behind each seat, excellent trim (when it works), and excellent flying characteristics (other than when doing power changes, which are easy to deal with). I am waiting for the final price on the Magni, and it is what I will probably buy if it comes out significantly cheaper, because it still looks great, flies well, and has great visibility for flying low and slow (it just doesn't have the quality of a monocoque cabin). If I was a more experienced pilot, I would consider the Trendak, and probably get the Taurus, because of seating for 3 (and tons of storage if you are flying with two people). Thank you Richard, that is a truly great report and answers a lot of questions. .
and it's a honest revue too. I want the magni too. but way over my budget. Richard: Do you work for Consumer Reports magazine? It seemed I was deeply immersed in the pages of one of their issues as I read your opinions backed by your experiences. I applaud your very well-written commentary of the several types of gyroplanes you've trained in! 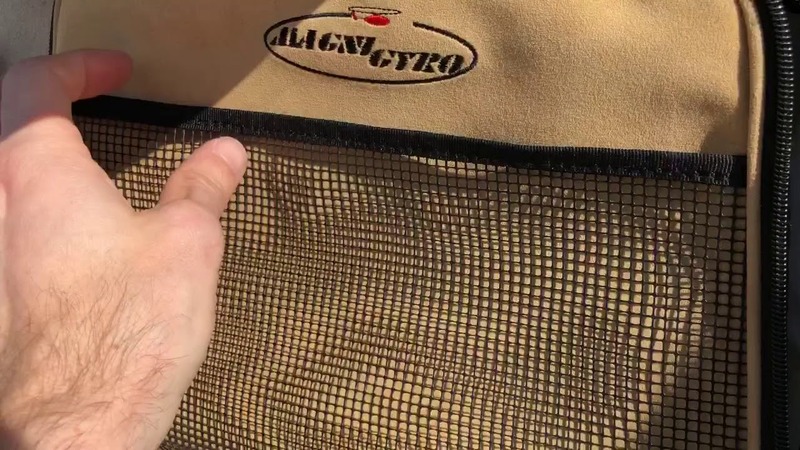 This is just what many newcomers to gyro flight would like to have access to: A concise summary of handling and storage capabilities of more than just one or two different makes of gyroplanes. The reader is also left well aware it is someone's opinion based on their flight training experiences, written with an eye toward making a purchase decision in the near future. Thank you for sharing this! Last edited by Kevin_Richey; 05-08-2018, 05:51 PM. Thanks for the kind words guys! Here are a few photos. I took some video too, but will have to figure out how to post those. Good write-up of your assessment of the 3 side by side machines. I would point out that your opinion about monocoque composite structure is superior or more expensive is not necessarily true or valid. The main reason for using monocoque besides scoring marketing points (just like they were able to do with you here), is to keep the complex shapes and structure lighter but even that requires much care and engineering and it doesn't always work out that way. Case in point would be Arrowcopter. Heavier than many others. In a recreational aircraft of slower speed which pretty much most gyroplanes are (even ones cruising at close to 100 knots), this method of construction has to be looked at carefully for its benefits versus negatives. If the structural skin is damaged, it then requires fixing properly and not just body worked and painted. A portion getting damaged then jeopardizes the whole unit. This can mean finding composite shops that are qualified and willing to work on aircraft versus just a body shop with minimal composite expertise. In a frame, the skin is not structural and frame can be replaced out with much less skill and likely to be done by most A&Ps with some guidance. These pros and cons have to be considered in a machine made for its simple recreational market audience with usually no access to high end composite shops near their airport. However almost anyone has access to mechanics who can wrench and drill and do mechanical work. It is also definitely not true that utilizing a frame is cheaper than making a monocoque structure. When we make a composite shell you are already half way there to monocoque structure so the additional cost and labor isn't tremendous compared to utilizing a frame inside with welding and fitment etc. When we talk of complex curves and shapes, then actually making them around a frame is more time consuming and thus more expensive than using composite tooling and structures. Last edited by fara; 05-08-2018, 06:03 PM. Thanks for the info about cabins Abid! Most excelling pilot report Richard, very helpful. U-Rock! rdalcanto, may I suggest that you look into Sport Copter's newest model, the M2? Carbon prepreg body mounted on a beefy frame. Chrome-moly 4130 mast. Big 6.0x600 tires. Rough field capability. It's available very soon this year, from what I hear. Last edited by Kolibri; 07-13-2018, 06:46 AM. Sport Copter will be at Airventure and PRA's fly-in. The new rides will be here 7/31-8/4/2018. Jim will be giving a Seminar on 8/3/2018 at 1:00 PM. Come see the show you don't see everyday! It's a PARTY!!! I saw it at OSH. Seems to me it was just a prototype? Has it actually flown yet? The one on display didn’t have rudder pedals, the tail feathers were aluminum but the final one would be composite, etc. etc. I was actually surprised Sportcopter chose to bring that to OSH in the stage it seemed to be at. Design-wise it reminded me of a Sparrowcopter cabin with a Sportcopter tail. How many hours do they have on one at this stage? Where can one find actual flight test results? How does it fly with the three engines listed as available? The prop was so new that it had to be delivered to the booth at Osh. The rudder boxes will be adjustable, as from the SCII. The composite tail will be quite special, I'm told. They'll post links to flight videos on the forum, with more details. I'll be flying it soon, after Jim wrings it out. rdalcanto,. A great review of a great machine. Good actual first person hands on report.